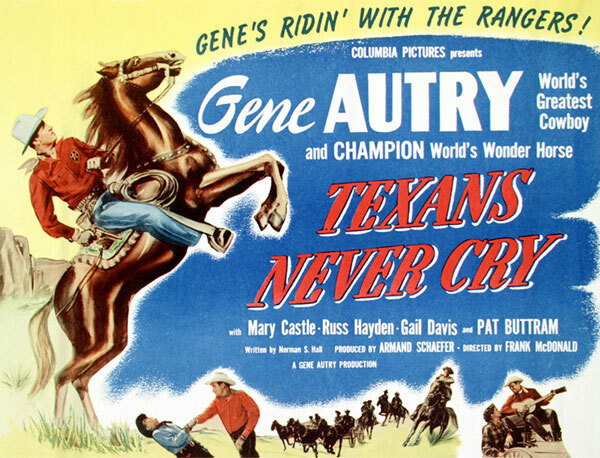 Texas Ranger Sergeant Gene Autry and his pal, Pecos Bates, save from eviction the family of Nancy Carter, whose father has purchased fake Mexican lottery tickets. Gene suspects that Tracy Wyatt heads the lottery counterfeit gang, but there is no evidence. Newspaper publisher Frank Bagley supplies the paper for the tickets and uses his daughter Rita as the courier. Fearing that Gene is getting too close in uncovering their racket, the gang hires Steve Diamond to murder Gene. 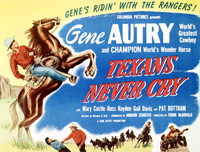 Gene is captured by Diamond and brought to the gang's hideout, but after a blazing gunfight, Gene and his Rangers bring the criminals to justice.